I was born and raised in the Texas County area, although I have experienced living in Wyoming, Nebraska, New Mexico, California and Louisiana for short periods of time while my dad worked for General Dynamics on the Atlas Missile program. I am the mother of five and grandmother of nine. I am married to Carl Watson, the Texas County Sheriff, and we make our home on a cattle farm in rural Texas County. My passion is antiques, and I have recently been privileged to take that passion to the next level by opening Janstiques, an antique and gift boutique in Houston. 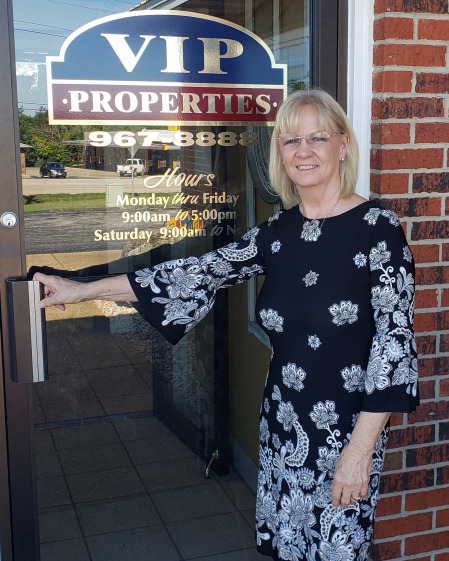 I finally became involved in real estate a few years ago, after my mother (Pat Tackett, our Broker) badgered me for years, and must say I really do enjoy it very much, whether working to find the right property for people or listing property for sale. Thanks to the strong real estate market, Iâ€™ve been a multi-million dollar producer for the past couple of years.